Sacred and Profane is excited to present our upcoming concert series The American Landscape: Traditional Music and Art of the United States, which explores the rich diversity of influences and traditions of American music. 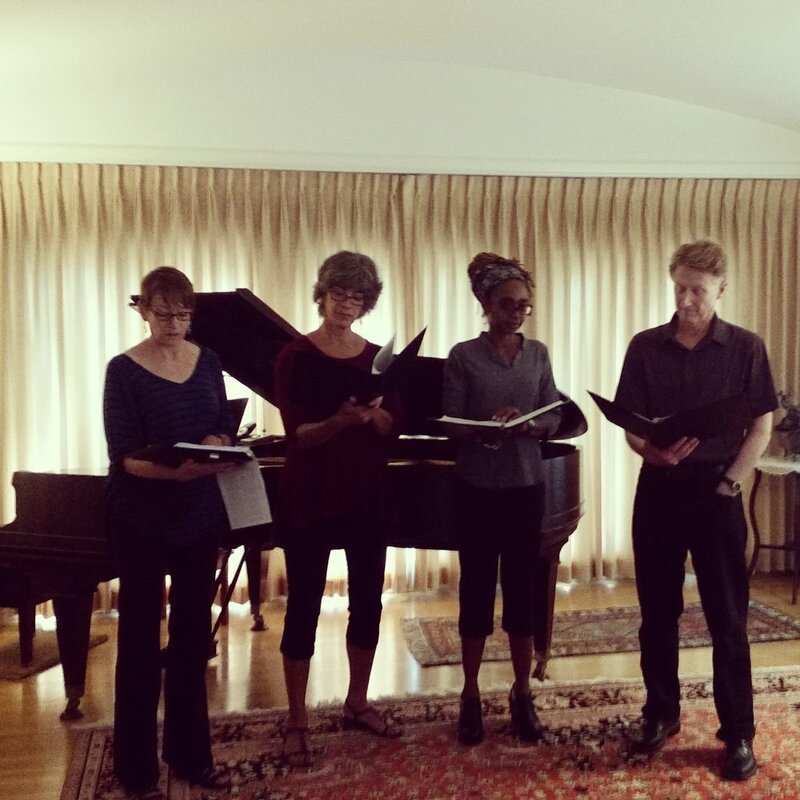 In addition to presenting diverse American choral music, Sacred and Profane has invited several local visual artists to add their perspectives to the ‘melting pot,’ with a performance and interdisciplinary experience free to the public, featuring an exhibit on the theme with works by local artists of many disciplines at our Alameda performance on March 10. These local artists represent a wide range of mediums, and will explore the American geographical, cultural, and social landscape through a variety of lenses. It will be a celebration of the many places and traditions that make American art and music We’re proud to feature works by glass artist Kim Webster, textile artists George-Ann Bowers and Alice Beasley, painter Mi’Chelle Fredrick, mixed-media artists Åke and Leslie Grunditz, and ceramicist Maria Paz; supported by a generous grant from the City of Alameda. RSVP for the exhibit is strongly encouraged. We’re excited to feature our very own George-Ann Bowers, an original member of Sacred and Profane! Did you know she is also a talented textile artist as well as a fantastic member of the alto section?! My work celebrates the infinite intricacies of the natural world. I am intrigued by the structure of trees, seed pods or rock formations, see weaving patterns in canyon walls, and thrill to the fine lacework of lichens on rock or bark. Color, contrast and texture are important elements in my work, as is dimensionality, whether implied through visual illusion or in actual form. My work captures fleeting moments in nature’s continuing cycle of creation, destruction and change. Growth, decay, eruption, erosion, and the interplay of light and shadow all provide inspiration for my creations. Another of our multi-talented members, Kim Webster, makes blown glass that inspires wonder and awe. You can also see her work annually at the Autumn Lights Festival in the gardens of Lake Merritt! Textile artist Alice Beasly’s colorful and textural work will explore social and musical facets of American culture through fabric portraiture. Fabric is my chosen medium of expression through which I create realistic portraits of people and objects. I find color, light, shadow, line and value in the pattern of ordinary household fabrics. From these I snip small pieces which I arrange and fuse into a figurative composition. As such the work grows from within rather than being applied to the surface of a canvas by paint, pencil or similar drawing tools. When the image is complete, I sew it together with the stitch line constituting the final “drawn” line. My work has been exhibited in many venues throughout the United States including the American Folk Art Museum in New York and the Smithsonian Anacostia Museum as well as abroad in Madrid, France, Japan and Namibia. My work has been purchased or commissioned by a number of individuals and public entities including the County of Alameda, Kaiser Hospital, Highland Hospital and the Sunnyvale Medical Facility. Alameda-based multimedia artist duo Åke and Leslie Grunditz have created a wonderful sculpture with collage and found object techniques to explore the immigrant stories in our American identities. 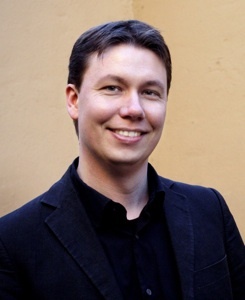 Åke has a deep interest in the trials and hardships incurred by Swedish immigrants, especially in the early 1900s. 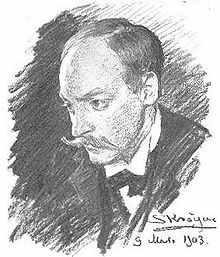 Reading the The Emigrants, a series of novels by Wilhelm Moberg, has provided us with a rich source of imagery and understanding of the plight of these people. In the sculpture, A New Life, we have included a matchbox filled with appleseeds, just as Kristina, a character in the novels, brought seeds with her to plant in the new world. Also included in this piece are excerpts from a Swedish brochure from 1890 which was used by passengers on the ships bound for the new land in order to familiarize themselves with America and the English language. The map of New York refers to the landing port of many immigrants, and the Native Americans looking on is a reminder that immigration is a complex issue which impacts people in many ways. Leslie’s great uncle Archie, born in 1878, escaped to America from Russia after suffering persecution and being exiled to Siberia. He landed in New York in 1904. Once in the USA he thrived and became a successful pharmacist and after retirement, a well respected poet. His daughter saved many of his writings and some personal belongings, and we have used these to illustrate the plight of escape. Success is shown in the partial image of his USA Naturalization papers. Archie’s portrait is front and center, along with quotes from his biography and poetry, and pieces from letters he wrote. Both Åke’s Swedish and Archie’s family photos are collaged together to enhance the intimacy of the experience. We are proud of the strength of our immigrant heritage, and hope we have been able to share a sense of what they went through to reach this new land and A New Life. Another artist with an interesting view of the immigrant experiences that shape American cultural identities is local ceramicist Maria Paz. Investigating these stories in the ceramic tradition allows her to connect to the past in new ways. Maria Paz (b. 1989, Quilpue, Chile), is an artist based in Oakland, California working primarily in ceramics and painting. Her practice draws from the analysis of material culture practiced in Archeology. By creating illustrative sculptures, Paz aims to archive global events, her path to familial healing, and her personal encounters with migration to the United States. She uses the symbolic imagery of her past and present life to reveal the fabric of her intersectional identity; an homage to the ceramic artifacts left before us. Painter Mi’Chelle Fredrick explores the American Landscape through natural landscapes and elements, celebrating the vast beauty of our country’s geography and wildlife. Mi’Chelle’s creative interests include painting, drawing, photography and writing. She has exhibited extensively throughout the Bay Area and Midwest. Mi’Chelle received Rhythmix Cultural Works’ 2014 Golden Gear Award for outstanding visual artist. She teaches painting and drawing and is co-Director of popUp Gallery in Alameda, California. ‘Painting and drawing have been part of my life for as long as I can remember. All things wild and natural inspire me. Nothing makes me happier than sitting on a boulder in a quiet place drawing a little piece of what I see. I work primarily in graphite and watercolor, sometimes combining the two mediums as in “Where the Buffalo Roamed” and “Tomorrow Totem”. Sacred and Profane knows (nose) nonsense! Our Annual House Music Concert and Fundraiser returns this August. Join us for a relaxed salon-style concert and reception to kick off our 2018-2019 season. We'll be performing in solos and small groups of all different styles and instrumentations, from classical to popular to contemporary, and bringing our friends and family along for the fun. During the regular season S&P sings sacred and secular choral repertoire, but rarely do we get to share our silly sides! 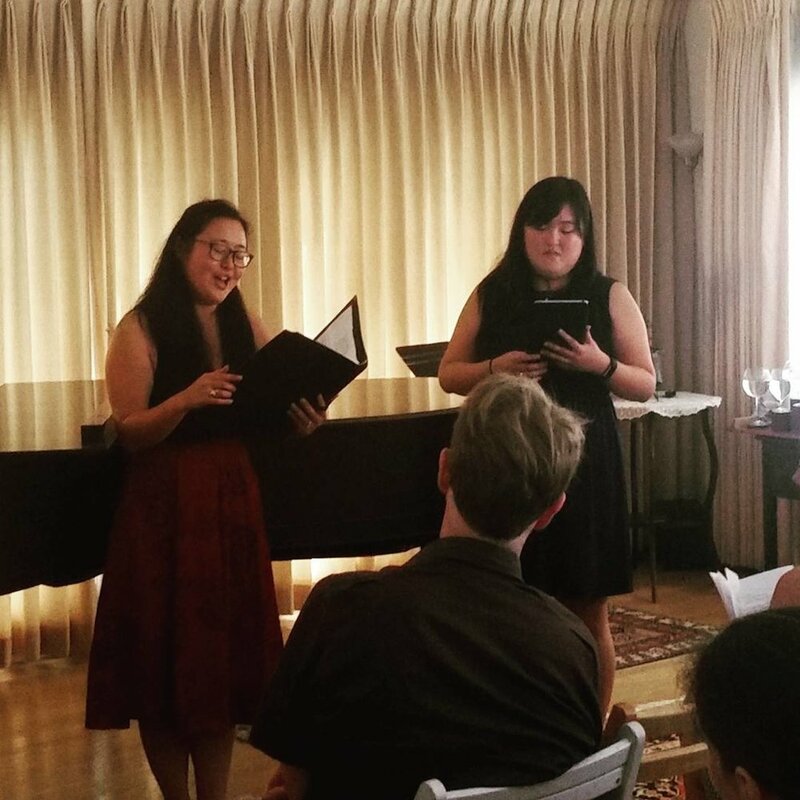 Enjoy a lighthearted afternoon with us in a beautiful private residence in Berkeley. Admission by donation: $25-$40 suggested. Generosity is welcomed, though no one turned away for lack of funds. We'll also be revealing our 2018-19 season, as well as special offers for pre-sale tickets such as discounts and reserved seating to House Music attendees only! You won't want to miss them! Show your support online and be entered to win free tickets! If you aren't able to join us in person, you can still support Sacred & Profane in our 41st season fundraising goals. Any donation of $40 or more made now through August 31st will enter you in a drawing to win a pair of tickets to a concert of your choice in our 2018-2019 season! Each increment of $40 earns you another entry. Last year your generous support helped us produce one of our most challenging and successful seasons to date. Help us exceed our goals for our ambitious 2018-2019! Thank you, as always, for being a part of our community, and for your support of Sacred and Profane. Marking our Monumental Milestone with Music & Merriment! Sacred & Profane Chamber Chorus is excited to announce the 2017-2018 season, which marks our 40th Anniversary season! 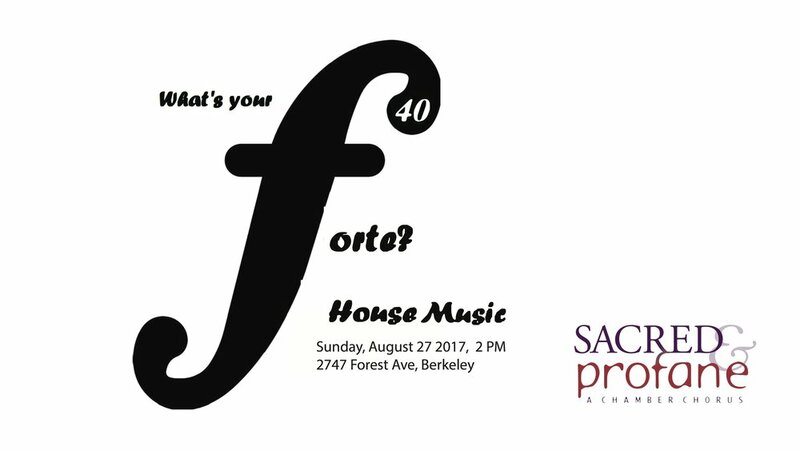 Founded in 1977, Sacred and Profane has been bringing diverse and high quality choral music to the Bay Area for forty years! We've planned an amazing season of concerts that reflect the mission in our name, programming music from all eras and traditions: from the Middle Ages to world premieres, composers from all over the globe, and both the sacred and profane. You won't want to miss out what we have in store for you: we'll be joined by actors and composers, reviving some classics, and premiering contemporary commissions. Peruse the website for more details, and stay tuned for some exclusive behind-the-scenes and archival extras. We hope you'll join us in musical celebration of this occasion! 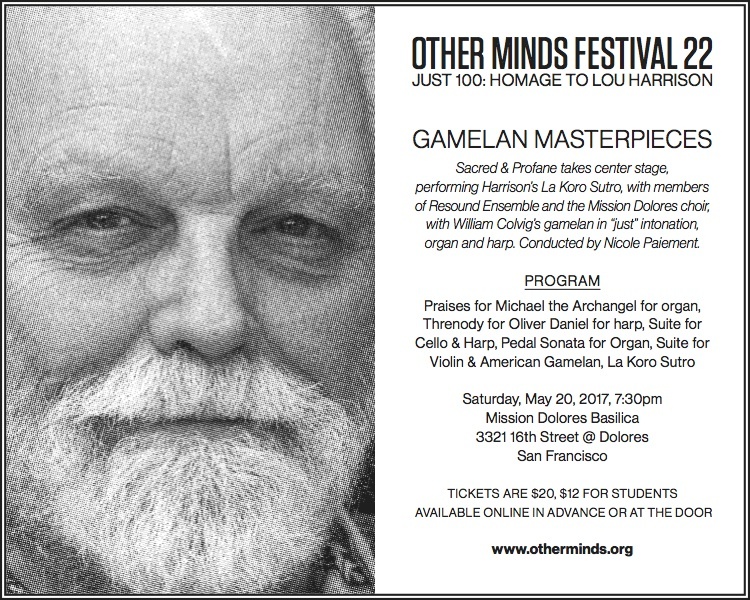 Can't get enough Lou Harrison? Neither can we! Members of S&P will be singing in another centenary concert in collaboration with Other Minds. In addition to several other signature works by Harrison, the concert will feature a performance of La Koro Sutro, the Esperanto rendition of the 4th century Buddhist text The Heart Sutra, featuring singers from several Bay Area choirs and the William Winant Percussion Group conducted by Nicole Paiement, who has recorded a generous selection of Harrison's music. After a horrific event, we always ask "why?" In the aftermath of a tragedy, one survivor searches herself and the world for unfathomable rationales. 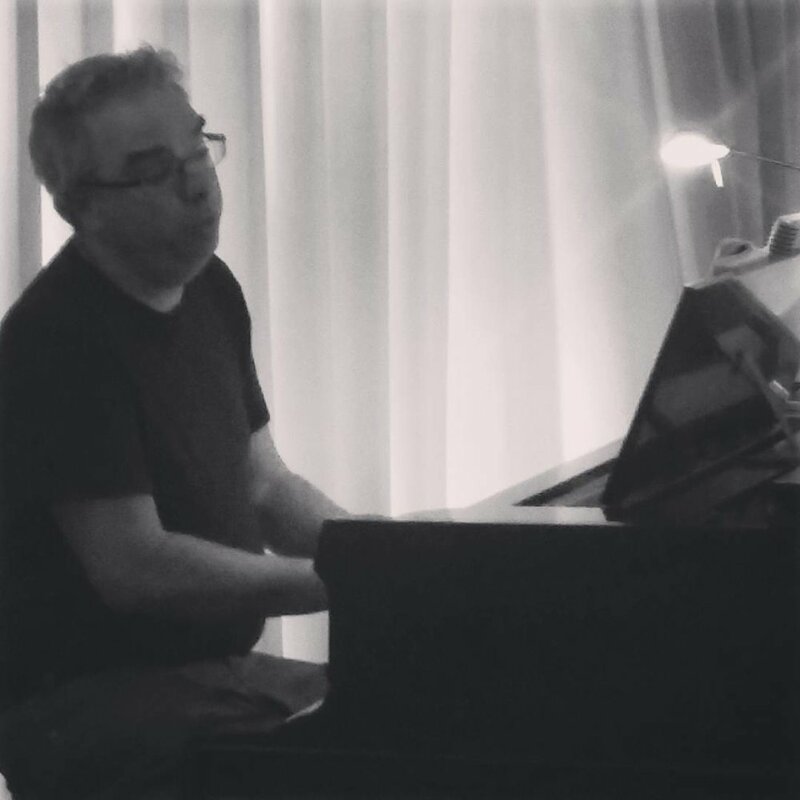 With a delicate balance of humor, pathos and the power of a live choir, The Events explores the strength of our humanity when confronted by cruelty. Local theatre company Shotgun Players present a powerful and moving production of The Events, written by David Greig and directed by Susannah Martin. The play is partly inspired by the 2011 attack by a lone terrorist on a summer camp on the Norwegian island of Utoya. The Events features a different choir every night.